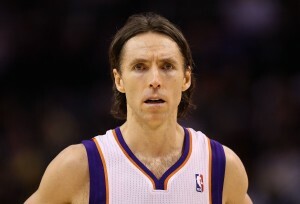 In the NBA, one of the hottest free agents this summer is multiple MVP winner Steve Nash. Nash has been a long-time Phoenix Sun, but told the Dan Patrick show Thursday that he wouldn’t be coming back to the Suns if there wasn’t improvement. Keep in mind that Nash is 38, but in tip-top condition for a 38-year old. He doesn’t eat any sugar, and takes his sleep very seriously, always getting 9 hours a night. Nash’s 38 is other people’s 29. Now Nash has said that if the Miami Heat came calling, he’d definitely listen. Nash said that he really likes what they’re doing down there — that people hate them because they’re all together, but they play hard, and their coaching staff is solid. From the Suns to the Heat. Elsewhere in the NBA, the Oklahoma Thunder traveled to Los Angeles to take on the Lakers. And whom did they bring with them? None other than former beloved LA Laker Derek Fisher. This was his first return after being included in a trade that brought a younger point guard to the Lakers. Fisher went to a contender in the Oklahoma City Thunder, providing them with the veteran leadership they needed. When Fisher came to LA, he got two standing ovations. They simply love him there. He even looked good, giving the Thunder 7 points off the bench. And the Lakers haven’t seen the last of Fisher, there is a decent chance they could meet up in the playoffs given the Lakers seed position. OKC 102, LA Lakers 93. Finally, in college basketball, with UNC getting bounced by Kansas in the elite 8, it was time for the Tar Heels star players to decide: Draft or no draft. It looks like all 3 of their stars will head to the NBA Draft. That includes super blue-chip recruit Harrison Barnes, power forward John Henson, and point guard Kendall Marshall. Marshall made headlines recently because of his injury in the 2nd round of the tournament, and that probably raised his profile for the draft. Never a bad thing. UNC will once again have to retool, but that’s all part of the process. A few teams added new coaches… and some new owners. After Ohio’s brilliant run in the tournament, which included an upset win over #4 Michigan and then a victory over the Big East’s Univ. of South Florida (a team everybody thought would win that game), head coach John Grace was in high demand. 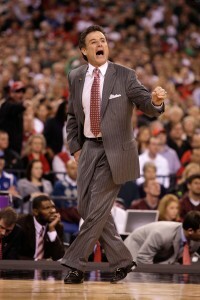 He was certainly this year’s Cinderella team, as everybody else from the Sweet Sixteen was from a major conference. They even brought #1 North Carolina to overtime. In fact, they had a chance to win that game, but came up short on the free throws. So, needless to say, John Grace had some options after the tourney. And he has settled on the head coaching gig at Illinois. This is actually a very coveted position, as Illinois takes pride in their college basketball program. After all, they have a ton of blue-chip college basketball recruits in Chicago. Illinois under Grace could really make some noise. And in college basketball, the Tulsa basketball program used to have a certain amount of prestige to it. They were one of the original Cinderella teams, making the tournament as a mid-major school and pulling off an upset or two. But recently, they haven’t found themselves in the field of 68. So they needed some fresh eyes at the head coaching position. They put the feelers out to the community, but sometimes it’s good to go with an ex-player, even an ex-superstar college player. That’s why they picked up Danny Manning. Manning was a playmaker for the Kansas Jayhawks in the late 80s, one of the best college players to ever play. Then he went to the Clippers and had a lackluster career. But as a college head coach, this guy could lead Tulsa back to the promised land. And finally, the Los Angeles Dodgers, one of the most storied franchises in sports, has finally been sold. Frank McCourt, one of the most corrupt individuals to ever grace the sports landscape, owned the team for a while, and drove them to bankruptcy. This was sad for all the Dodger faithful fans craving a winning team. And in baseball, it all starts with ownership. Owners hire the best president who hires the best general manager to build a winning team. 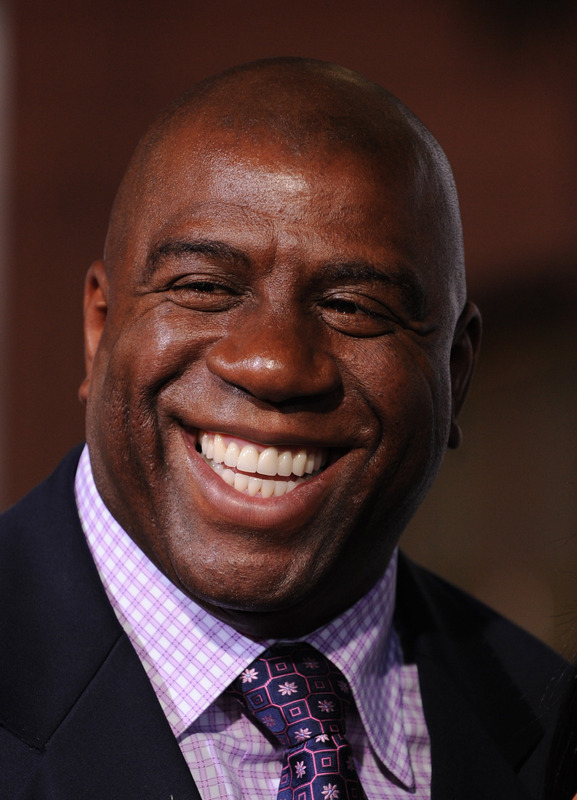 The group that bought the Dodgers included Los Angeles icon Magic Johnson. Surely Dodger fans will be happy with him at the helm. The price: $2 billion. Wow!!! That is a lot for a baseball team, but the Dodgers are legitimately that valuable. Hopefully this group can help turn the Dodgers around. In the NFL, the controversy surrounding the New Orleans Saints paying defensive players to injure specific offensive players ended in Saints head coach Sean Payton being suspended for a year. Payton was blown away by the news, but still must adhere to the suspension. With that said, Payton still wants to make sure that the very talented Saints stay in good hands. The man he’s suggesting for the job: none other than coaching legend Bill Parcells. This is the guy who taught Bill Belichick a ton of what he knows. Parcells is a proven winner, and putting a big name like him in there will keep Saints fans excited and dreaming of Super Bowl possibilities. Good thoughts from Payton, but… Parcells might be a little old. Elsewhere in the NFL, some strange news out of Indianapolis. 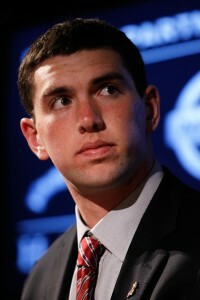 As everyone knows, the Colts released Peyton Manning, as they plan to draft Andrew Luck from Stanford with the #1 pick. But Luck has gone on record saying the Colts haven’t contacted him about contract negotiations. And now, Colts owner Jim Irsay is saying that they won’t necessarily draft Luck with the #1 pick. After all, Heisman Trophy winner Robert Griffin III is sitting there as well. Both of these are amazing athletes, and pure quarterbacks. Griffin is more mobile, and Luck is more precise. They are both poised to be long-time successes, but, at the end of the day, Luck might just be the safer bet. Nobody will fault the Colts if they stick with Luck… so they probably will. Finally, we now know our first match-up of the 2012 NFL season. This season will open on a Wednesday night (because of the Democratic National Convention on Thursday), and, as tradition in years past have showed us, will feature the Super Bowl winners. This year, that is clearly the New York Giants. Question is… which team would they play? Which team would yield the most ratings for a match-up on Day 1? The Packers? Patriots? Steelers? And then you think, it’s obvious, the Dallas Cowboys. What better way to start the 2012 NFL Season than with likable Tony Romo and the Cowboys. The Final 4 is set, so which teams made it? Next up, it was #1 Syracuse trying to keep their brilliant season alive against #2 Ohio State. Syracuse has been without their big man, Fab Melo, throughout the entire tournament, and have been relying on their talent (Dion Waiters, Brandon Triche, and Scoop Jardine), as well as their deep bench. But, Ohio State has arguably the best big man in the country in Jared Sullinger, a guy who came back this year to give it one more shot at a championship (well that and draft position). Syracuse could have really used their giant in the middle this game, because Sullinger ate them alive, finishing with 19 points and 7 rebounds. And with that, the Buckeyes advance to the final four. Ohio State 77, Syracuse 70. On Sunday, the day kicked off with #1 Kentucky taking on a suddenly very hard to beat Baylor Bears team. Could Baylor topple one more and roll into the Final Four? I’s not that easy. Baylor jumped out to a scoring tear to start the game, and found themselves in control with a 10-5 lead. And then, the wheels kind of came off for Baylor. They had a scoring drought, and Kentucky just came hammering back. All the Wildcats got in on the fun, led by Michael Kidd-Gilchirst, who piled in 19 points for Kentucky. After that, they never looked back, and would cruise into the Final Four. Next up for Kentucky, it state rival Louisville, led by former Kentucky coach icon Rick Pitino. The Kentucky media is going to love this. They’ve been waiting for this match-up, and what better place to watch it unfold then the Final Four. Kentucky 82, Baylor 70. Finally, it was #1 North Carolina, led by former Kansas head coach Roy Williams, taking on his old team #2 Kansas, led by new golden boy Bill Self. This game was a real doozy, neck and neck the entire way. It looked like a classic finish was in the making. But, in the last few minutes, Kansas got their act together, made some clutch defensive stops and steals, and turned those into quick points. What was a back and forth battle soon turned into a 7 point lead for Kansas with a minute to go. Once that happened, there wasn’t much more the Tar Heels could do. UNC had a great season, but after losing their star point guard Kendall Marshall in the second round, the writing was on the wall for them. Kansas 80, UNC 67. So next weekend, it’s Louisville v. Kentucky and Kansas v. Ohio State. Just a great final four this year! All the action was from college basketball with March Madness back in full swing. First up, #1 Syracuse looked to hold their ground against #4 Wisconsin. Wisconsin has some deadly 3-point shooters, but Syracuse is a very deep team that seems to be doing just fine without their center Fab Melo. These guys can play. But if they were going to edge Wisconsin, they needed to play their best basketball. Plus, Wisconsin has a stifling defense. Could Syracuse survive? Well… barely. C.J. Fair had a fantastic night for Syracuse putting up 15 points and 7 rebounds. At the end, Wisconsin had a chance to win the game, but Jordan Taylor missed a 3-pointer with 3 seconds left, giving Syracuse the victory. Syracuse moves into the Elite 8. Syracuse 64, Wisconsin 63. On the bottom half of that bracket, #2 Ohio State took on a tough, surging Cincinnati team. Cincinnati jumped out to an early lead, but Ohio State would regain the lead by the half. However, experts know that the Cincy Bearcats do not give up, and they came back ferociously in the second half — even seemed to have Ohio State scared. But that’s when Jared Sullinger and the Buckeyes regained their composure and did their thing, running away with the game in the last 10 minutes. Sullinger finished with 23 points and 11 rebounds, and the Buckeyes move on to play Syracuse in the Elite 8. Ohio State 81, Cincy 66. And finally, in the last game of the night, #7 Florida took on #3 Marquette. And this one looked to be anybody’s game. Florida was looking for their second straight trip to the Elite 8, while Marquette was looking to prove to the world that they are far better than a #3 seed. This game was neck and neck until the half, when Florida took a 6-point lead. Then, in the second, Marquette simply couldn’t hang with Florida, finding themselves in a 10-point hole. They had a couple teaser comebacks, even pulling it to within 6, but Florida proved too strong and too athletic and earned their trip to the Elite 8. On Saturday, it will be Florida vs. Louisville for a trip to the Final 4. Florida 68, Marquette 58. In the NFL, the ‘Where Will Tim Tebow Go’ drama didn’t last long. One team wanted him badly, and got him. That team… the New York Jets. Even thought they recently signed their quarterback Mark Sanchez to a 3-year deal, the Jets believe that Tebow will be a serviceable back-up, but, more importantly, they think that Tebow could be a good character guy in New York. Tebow inspired the Broncos every week, and for the Jets, a team with a locker room in disarray, having a good-character like Tebow around could make people come together. Tebow may even come in as a decoy on plays to confuse opposing defenses. Either way, this will keep the Jets extremely relevant next season. Elsewhere in the NFL, the penalty has finally come down on the New Orleans Saints for their ‘bounty’ scandal. As a refresher, Saints defensive coordinator Gregg Williams was offering players additional money to lay injury-causing hits on opposing players. For example, he would tell his linebackers that they would get $1500 if they could knock the opposing quarterback out of the game. In case you didn’t know, that’s definitely against the rules in the NFL. And Saints head coach Sean Peyton knew everything that was going on for a few seasons, but didn’t do anything about it. The NFL has imposed their penalty: a one-year suspension. That’s serious, and sends a definite message to other coaching staffs never to try something like this. As for Williams, he is suspended indefinitely (and that might be something in the range of 3 or 4 years). In fact, that might just force him into early retirement. This is a nasty story, but justice had to be done. Finally, in college basketball, the University of Illinois program has been terrible the past few seasons. 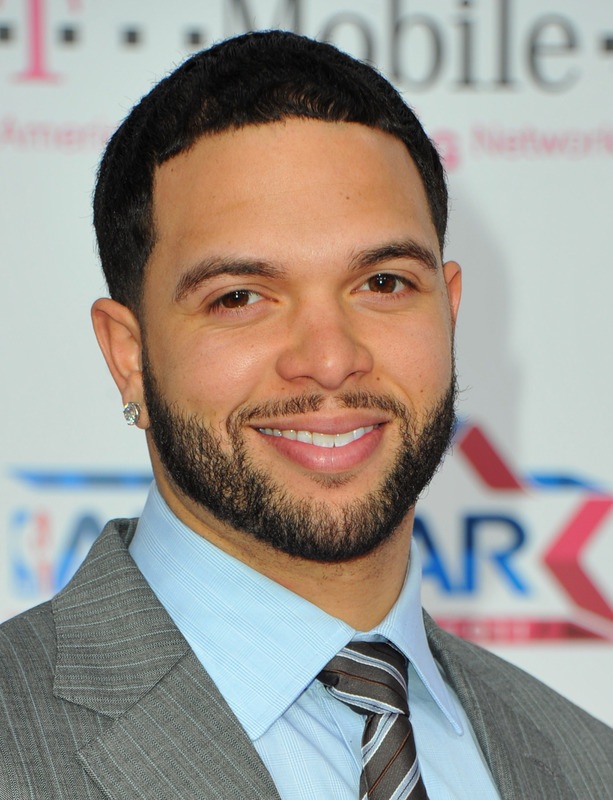 Back in 2005 and 2006, they had a very respectable program that even went to the National Championship Game, led by point-guard Deron Williams (now a superstar in the NBA). But since then, they’ve been horrible. They finally parted ways with their head coach, and were looking for someone to lead them back to national prominence. Their first choice: VCU head coach Shaka Smart — a guy who led a tiny school in Virginia to the Final Four, enhanced their recruiting class, and brought them back to the tournament this year for an upset win in the first round, and just barely missing a trip to the Sweet Sixteen. Surely they could offer a better pay check, but Smart declined their offer and will stay being a king in a small city. Probably the right move on his part. With March Madness on hold ’til Thursday, all the news was from the NFL. First up, Tuesday, it was official as the Denver Broncos officially introduced Peyton Manning as a Bronco to the media. He even hoisted up his own “Manning” Orange Crush jersey. It’s for real. Manning said that his goal in Denver is NOT about building a foundation these first two seasons, and then getting ready to win a Super Bowl in 2 years. 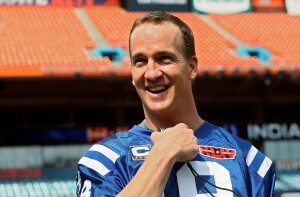 No, Peyton is ready to win NOW! From day one, he’s going to be in full swing, aiming at ONLY the Super Bowl. Anything short of that is a failure in his eyes. It’s likely that the Broncos will now try and chase Steelers star receiver Mike Wallace to give Peyton a weapon from the get go. 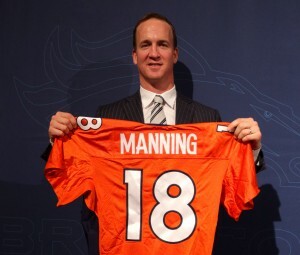 Plus, Peyton should be happy, he signed a 5-year, $96Million deal to take the reigns in Denver. Not a bad last pay check. Elsewhere, with the Peyton search over and done with, the San Francisco 49ers, a team that actually put their hat in the Peyton hunt, have decided on what they will do at the quarterback position. It looks like Jim Harbaugh will stay with his man: Alex Smith, as the Niners have signed Smith to a three-year deal. There were question marks surrounding Smith’s future in San Francisco, but last year he proved himself to be a capable winner, getting them to just one win of the Super Bowl. They also added Randy Moss, and will likely bolster their receiving corps even more in the draft. This seems to be the right move for San Fran. Finally, in Pittsburgh, the end of an era. 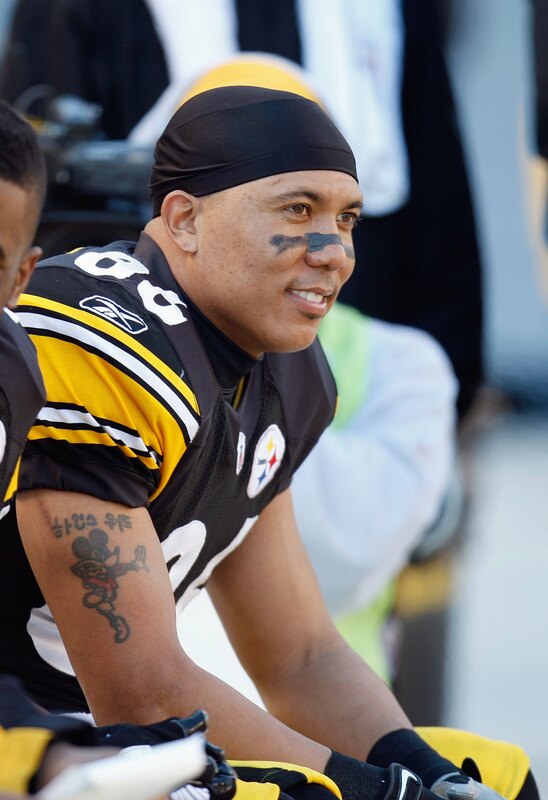 After 14 years in Steeler Black and Gold, Hines Ward is going to officially retire. The Steelers recently cut him, and Ward decided that rather than play for a 15th season as a #4 or #5 receiver somewhere else, he will retire a Steeler for life. And this guy is a Hall of Fame candidate. Every year, he was a fantastic receiver for the Steelers. 1,000 catches, 2 Super Rings, and a Super Bowl MVP. Unfortunately, at the end of his career, Ward had some trouble breaking away from young cornerbacks. Ward gave a sad, tearful goodbye to the Pittsburgh media, and will likely find himself in the TV booth. 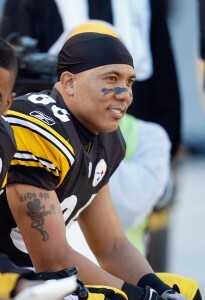 Also, to give you an idea of how important draft scouting is, Hines Ward was a 3rd round draft pick. Not many 3rd round wide-receiver draft picks end up in the hall of fame. WATERCOOLER CHAT: MANNING SWEEPSTAKES OVER! The major story out of the sports world yesterday was clearly from the NFL. It looks like Peyton Manning has chosen his new team. When this search started, many thought either Miami or Arizona — two teams clamoring for a quarterback that would love Peyton’s services. But he declined. Then the Seahawks got into the fray, hoping that Peyton could get them over the hump and back to being a good team. But… he declined. And late last week, everybody was convinced that Peyton was going to the Titans, so he could be back in the state that loved him Tennessee (where he gloriously played his college ball at the Univ. of Tennessee). But… he declined. So where did he pick? A strange winner: The Denver Broncos. John Elway wanted him there, and the Broncos have some pieces on offense and a solid defense to provide a good bed for Peyton. A few solid offensive draft picks could give him the weapons he needs to truly thrive. And that brings up a BIG question. What about Tim Tebow? Tebowmania was all the rage for Denver last season. Tebow was the number one selling jersey last year by far. His faith-based personality made him the darling of the NFL — especially those in the south. But with Peyton Manning coming to lead the ship, it’s extremely probably that Tebow is going to be sent sailing. Bottom line is even though Tebow is extremely popular, he’s just not a great pro quarterback. He’s not likely the guy to build a team around. On the trading block, Tebow won’t have much value, except for maybe a box office draw and a team trying to get people to the stadium (i.e the Jacksonville Jaguars) might start putting on that show. Tebow could go back close to his Florida faithful and get all the praise and attention lavished on him. We’ll see how this all pans out. Meanwhile, in Miami, the Dolphins have taken at least a subtle measure to try and find a quarterback, inking former long-time Jaguars quarterback David Garrard to a one-year deal. It’s likely that Garrard isn’t their BIG PLAN, but putting him on a one-year deal is incentive enough for him to try and make things happen. Plus, if the Dolphins draft a rookie quarterback, Garrard could start the season for them, then hand things over to the rookie. 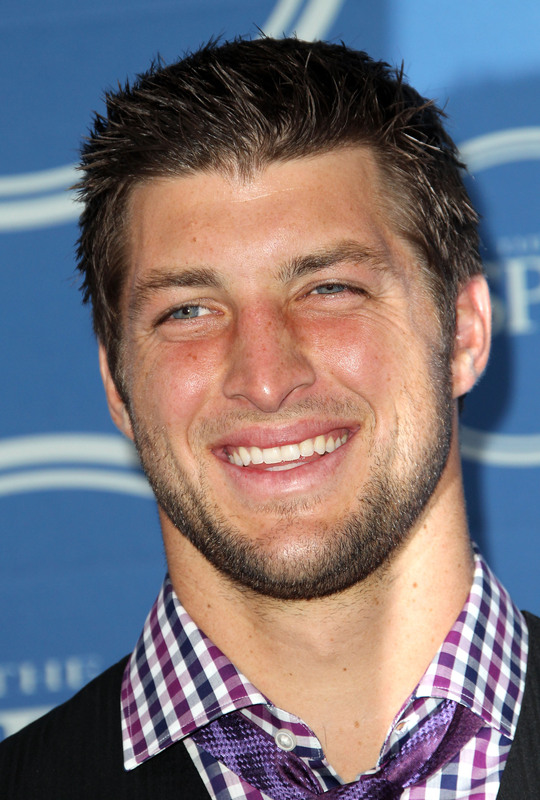 Then again, maybe Miami will bring Tebow to town and just roll the dice that maybe, just maybe, he’s got what it takes. The weekend… FULL OF MADNESS. March Madness that is, as teams were vying to punch their ticket to the Sweet 16. Syracuse struggled in the first round against UNC-Asheville, but in the second round, against a much better Kansas State team, they upped their game, and ran away with the win in the second half. Dion Waiters led all Syracuse scorers with 18 points, as the Orange advance to the Sweet Sixteen. After the game, Kansas State head coach Frank Martin choked up speechless before speaking about the toughness of his team. Look for Kansas State to rebound next year. Syracuse 75, Kansas State 59. And one of the Cinderella candidates, Ohio, after knocking off #4 seed Michigan was looking to make their way into the Sweet Sixteen. Ohio would have to take on Univ. of South Florida, who also pulled an upset on #5 seed Temple. USF was heavily favored, but Ohio came into the game organized and poised and hit their shots down the stretch to pull out the victory. Nobody expected them to even sniff the Sweet Sixteen, but now they will get a shot at #1 seed North Carolina. Ohio 62, USF 56. Speaking of North Carolina, they had their way with #8 Creighton. UNC’s success this year is largely due to their improved teamwork. Last year, it was the Harrison Barnes show, but this year they’ve jelled, thanks in large part to their point guard Kendall Marshall. He controls the offense, and has also turned into a fantastic scorer, putting up 18 points against Creighton. But, it looks like Marshall also broke his wrist, and is now questionable for the rest of the tournament. With Marshall, the Tar Heels are a different team, and they really need him out there. There is a chance that UNC is susceptible to losing to Ohio. UNC 87, Creighton 73. And, it was a thrill ride as #10 Purdue took on #2 Kansas. This was a big deal because it was potentially the last game for Purdue star Robbie Hummel. Hummel was one of the star recruits coming out of High School, but injuries kept him from playing some seasons, and everybody wanted to see if Purdue could get it done with Hummel at 100%. The Boilermakers were destroying the Jayhawks. But… a team as talented as Kansas doesn’t just roll over and die. In the end, they hit some clutch shots to get the lead. Purdue had one last chance, and hurled up a long three, that hit the backboard and bounced off the rim. And that was all she wrote for Purdue. Hummel had 26 in the amazing effort, and it was the end of a great college career. Hopefully he gets a shot in the pros. Kansas 63, Purdue 60. Get ready for the Sweet 16, starting next Thursday. #1 Seed Syracuse was hoping for a big run in this tournament, but right before the tourney, their star big man, Fab Melo, was declared ineligible to play in the Big Dance. People expected that Syracuse would stumble without this guy, as they did in the regular season when they were sans Melo, but nobody thought they would have such a difficult time against #16 seed UNC Ashville. Asheville didn’t let up all game. Just when Syracuse thought they had them shook, they would tie it up with a big 3. This game came down to the wire. There were some controversial ref calls down the stretch, including a lane violation called against Asheville (a rare penalty), but, in the end, the Syracuse Orange prevailed and will move on to play Kansas State in the second round. Syracuse 72, UNC Asheville 65. Elsewhere, last year’s big surprise Cinderella story, VCU, took the court hoping to show that their incredible run was no fluke. Their first test was against a very pesky #5 Wichita State team. Wichita State was the darling of a lot of experts, thinking that they had a possibility to be THIS year’s Cinderella. Could new Cindy beat old Cindy? VCU got out to a big lead, and maintained it for most of the first half and into the second. Bradford Burgess had a spectacular night with 16 points and 5 rebounds. But, Wichita came back, and even took the lead towards the end. So, it was up to Burgess again, and he hit a clutch 3-pointer to help the VCU Rams hold on and advance to the second round. VCU 62, Wichita State 59. Finally, in the NFL, one of the best defensive players in the league has found a new home. Back in 2006, when the Houston Texans drafted Defensive End Mario Williams OVER both Reggie Bush and quarterback Vince Young (both celebrity college athletes at the time), they were thought to be crazy. But, the Texans got the last laugh as Williams developed into one of the most feared defensive players by opposing NFL quarterbacks. But, for money reasons, the Texans had to let Williams go on the free agent market. They weren’t willing to pay his salary, and have other plans for their team, as some of their younger defensive players are really starting to develop. 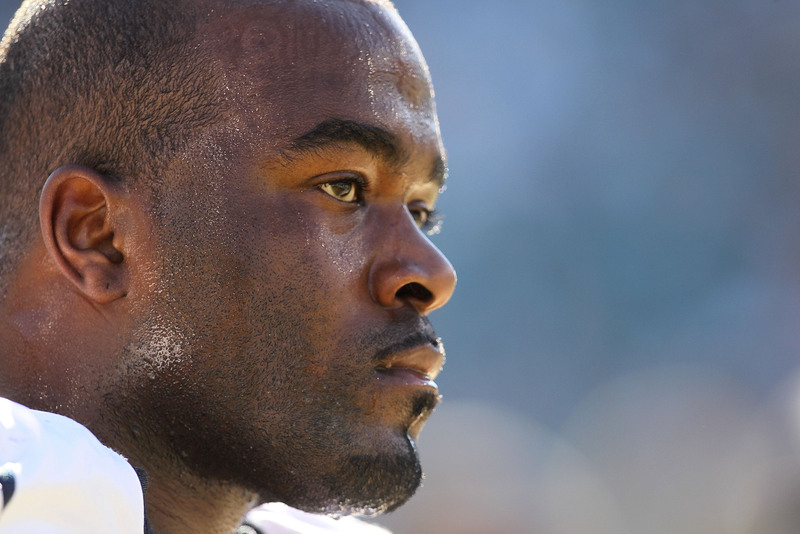 Mario Williams is a big name out there, which is why it was strange that a smaller team, the Buffalo Bills, decided to give him a huge contract. This was a statement signing for the Bills, showing their fan base that they are serious about winning. The Bills enjoyed a re-emergence early last season, but completely lost it down the stretch. With Williams, the Bills actually stand a chance in the AFC.